Vans Warped Tour Reveals Final Traveling Lineup - GENRE IS DEAD! The end is near for the beloved Warped Tour Festival. During Van’s Global HQ in Costa Mesa, CA, the festival revealed its lineup for 2018, the last year Warped Tour will tour the country. A number of Warped Tour favorites are on the bill along with others who will only play certain dates. Included on the bill are Asking Alexandria, Motionless in White, Sum 41, Taking Back Sunday Mayday Parade, and Everytime I Die to name a few. Check out all the acts along with when you can see them here. While this will be the final year for Warped Tour, there are plans for a 25th-anniversary show in 2019. The festival kicks off in North America June 21 in Pomona, CA. Tickets are on sale now. Check out the full itinerary below. Warped Tour founder, Kevin Lyman, revealed the final Warped Tour last year during an interview with Billboard. Citing declining sales as the reason behind the move, he said “We were doing fine, but we had a pretty big dip last year. It was that younger end of the demo. It was an interesting tour — the bands didn’t feel the dip because the fans that were there were super engaged… Everyone’s lining up at 11 o’clock and they don’t want to miss a band….But that casual fan that’s learning how to go to a music festival — they were not there last summer,” explained Lyman. “It was a really great show, sponsors were happy, but our attendance was down. We knew the end was coming, but at least it can go out with a bang. Pingback:Kevin Lyman Reveals 2019 Vans Warped Tour Dates - GENRE IS DEAD! 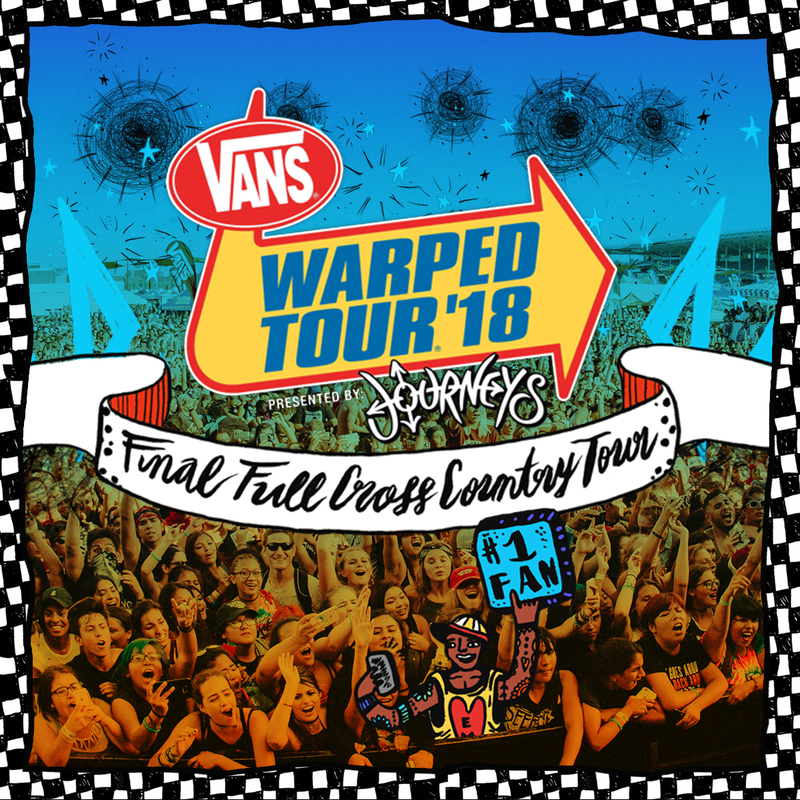 Pingback:2019 Warped Tour Dates And Cities Revealed - GENRE IS DEAD!